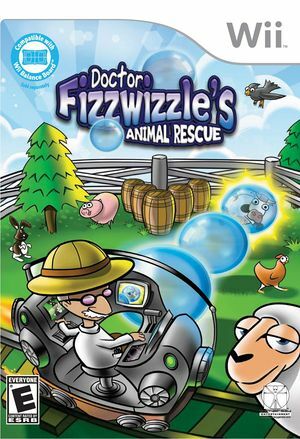 Why has everyone fled the islands in Doctor Fizzwizzle's Animal Rescue? There's not a person in sight! Who will feed the animals and find out what scared the people away? Doctor Fizzwizzle, of course! Bounce bubbles, rescue hungry animals, and solve a mystery, all at the same time! Over 180 levels of thrilling brick-busting action, and over 60 animal species to rescue! The graph below charts the compatibility with Doctor Fizzwizzle's Animal Rescue since Dolphin's 2.0 release, listing revisions only where a compatibility change occurred. This page was last edited on 7 January 2018, at 10:26.